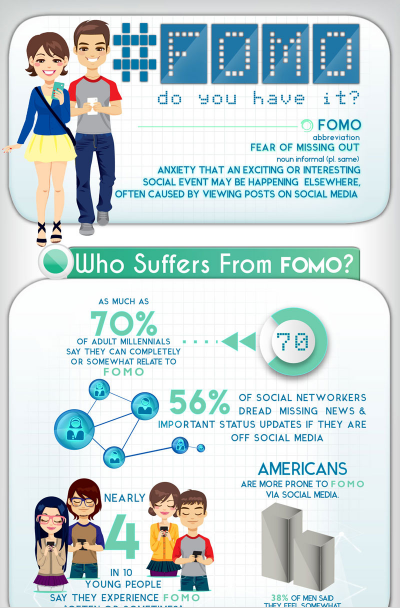 Home » Interesting Graphs » FOMO: Do you have it? As technology cements itself further into our everyday lives, we have begun to see side effects and illness from over usage. While video game addiction catches the eye of the media, there is still one condition that has been affecting social media users: FOMO or the "fear of missing out." Continue reading to learn about FOMO and how it’s helped us stay active and connect with others, and how we can be more aware of our dependence.